Orange District consists of 22 Federated Clubs in the Orange County area, and is one of 21 Districts in the state. District Council Meetings are held the 2nd Friday, every other month, September to March with an all member Convention in April. ​DISTRICT PROJECTS for the 2018-2019 year -- District President, Marcia Willett: Driving Out Hunger! Think RED. Remember and honor the past, Educate for today and Design for tomorrow! 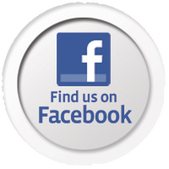 An organization of members in individual clubs, located in cities throughout California. Uniting women of all ages for community support of worldwide issues through our California clubs, Junior section and Juniorette (high school and college) clubs. Divided into Districts, with four leadership Areas. Responsible for contributing an average of 4 million volunteer hours and $3 million on 25,000 projects annually. 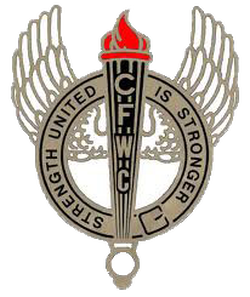 A member of the General Federation of Women’s Clubs, International, which is one of the largest and oldest volunteer organizations in the world. A non-profit, charitable organization. To encourage leadership for individuals, for the schools and for our communities. To provide guidance in a variety of areas such as women’s health, prevention of family violence, child abuse prevention, and crime prevention. To train volunteers who will work to eradicate illiteracy. To provide our youth with the vocational and technical tools they need to be successful and productive citizens. To motivate and produce the kind of volunteers that will meet the needs of their communities and make a positive impact in California. 1868: GFWC's roots can be traced back to 1868 when Jane Cunningham Croly (1829-1901), a professional New York journalist who wrote under the pen name of Jennie June, attempted to attend a dinner at an all-male press club honoring British novelist Charles Dickens. Croly was denied admittance based upon her gender, and, in response, she formed a club for women. She chose the name Sorosis, a Greek word meaning "an aggregation; a sweet flavor of many fruits." 1890: Jane Croly, founder of Sorosis, extended an invitation to women's clubs throughout the United States to attend a ratification convention in New York City. Sixty-three clubs attended on April 23-25 and took action to form the General Federation of Women's Clubs. 1930s: Having founded over 474 free public libraries and 4,655 traveling libraries, women's clubs were credited by the American Library Association with establishing 75 percent of America's public libraries. Supporting local libraries continues to be a Federation priority today. 2000s: GFWC members contributed $180,000 for a fully-eq﻿﻿uipped ambu﻿﻿lance for use by the New York Fire Department in response to the loss of equipment suffered during the terrorist attacks on September11, 2001. 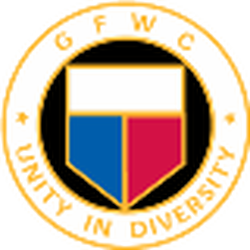 GFWC continues its tradition of addressing social issues affecting women and families through programs that combat violence against women and promote human rights. Clubwoman Magazine features the "new meaning" of hats, gloves & bags!